I amaze with the tour guide here.. his name is bling, super knowledgeable and helpful for me to figure out anything. the tour was good, I like the bus, also the food. highly recommended tour. 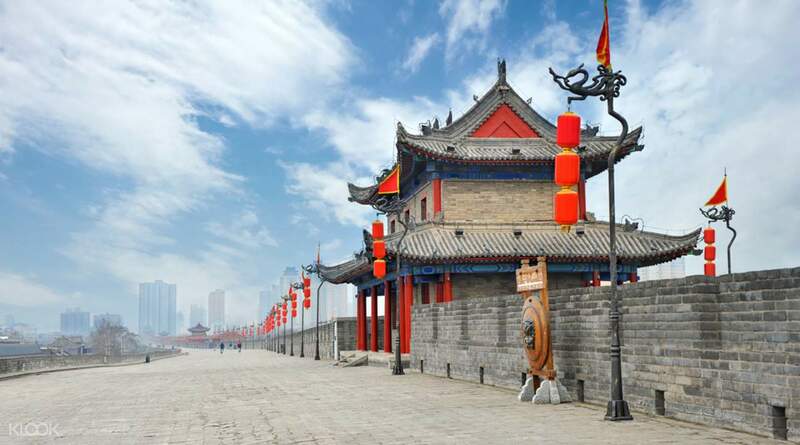 Experience China's long and ancient history along with its rich culture on this perfect one day tour of two of Xi'an's top attractions. 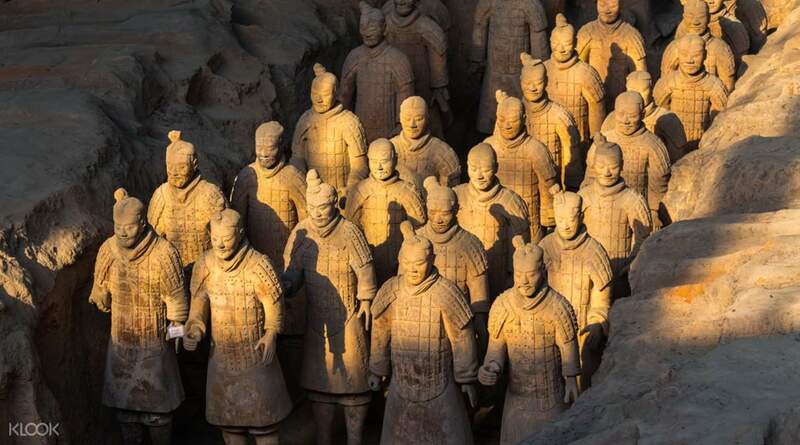 Spend the morning at the breath taking UNESCO World Heritage listed Terracotta Warriors and the ancient city walls, one of the largest and most complete ancient military systems of defence in the world. What's more, you'll stop for lunch at a delicious local restaurant for lunch and learn all about the sites you've just visited from your informative, English speaking guide. 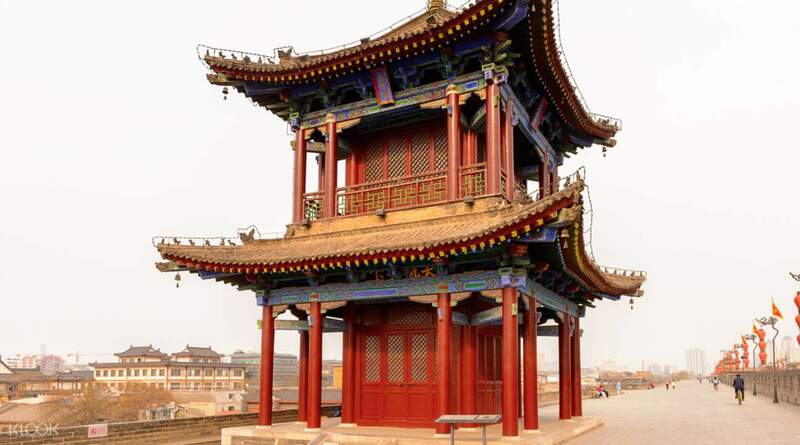 The ideal trip for those wanting to see the classic sights of one of China's most ancient cities. I amaze with the tour guide here.. his name is bling, super knowledgeable and helpful for me to figure out anything. the tour was good, I like the bus, also the food. highly recommended tour. I amaze with the tour guide here.. his name is bling, super knowledgeable and helpful for me to figure out anything. the tour was good, I like the bus, also the food. highly recommended tour. Tour guide was informative and speak English well. However, tour included some extra trip to a made up clay factory and a tea appreciation ceremony. You will not be forced to buy at both places if you do not wish to. Tour guide was informative and speak English well. However, tour included some extra trip to a made up clay factory and a tea appreciation ceremony. You will not be forced to buy at both places if you do not wish to. Good one and we are having fun. Somehow our hotel is off from their normal pickup route, we just need to pay some additional fees to get them to pick up. Tour guide able to speak fluent english and if you able to to speak chinese, that will be better. Good explanation throughout the tour. Tour is fun, they will bring you to a factory selling the miniature terracota warriors, no forcing to purchase. Good one and we are having fun. Somehow our hotel is off from their normal pickup route, we just need to pay some additional fees to get them to pick up. Tour guide able to speak fluent english and if you able to to speak chinese, that will be better. Good explanation throughout the tour. Tour is fun, they will bring you to a factory selling the miniature terracota warriors, no forcing to purchase. 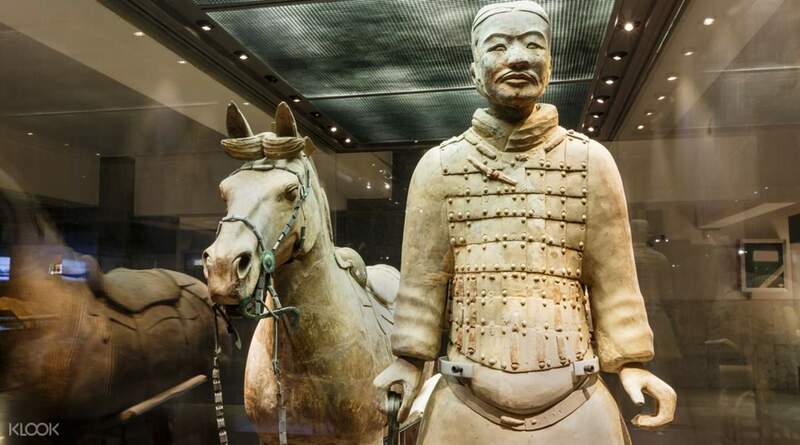 Amazing terra cotta warrior pits in the burial area of Emperor Qin Shi Huang. Tourist guide is very knowledgeable and explains very well though he struggles in speaking in English. But still it's A+ for the effort. Amazing terra cotta warrior pits in the burial area of Emperor Qin Shi Huang. Tourist guide is very knowledgeable and explains very well though he struggles in speaking in English. But still it's A+ for the effort. The guide Isaac was wonderful, he reached the hotel pick up on time. Explanation during the trip was clear, friendly and polite too. The guide Isaac was wonderful, he reached the hotel pick up on time. Explanation during the trip was clear, friendly and polite too. The actual Terrracota Army part of the trip was pretty great. Even though it was a Saturday we were lucky and it wasn't so busy so we could take our time and enjoy it there. The rest of the trip only meh, there was a stop at some 'museum' which was just a shopping stop, and thw city walls visiting the east gatw during the day was very lack luster. Thankfully our guide Tina told us to go back to south gate during the evening and that was a lot better. The actual Terrracota Army part of the trip was pretty great. Even though it was a Saturday we were lucky and it wasn't so busy so we could take our time and enjoy it there. The rest of the trip only meh, there was a stop at some 'museum' which was just a shopping stop, and thw city walls visiting the east gatw during the day was very lack luster. Thankfully our guide Tina told us to go back to south gate during the evening and that was a lot better. Our tourguide Trisa took good care of us and gave good explanation on the history of the terracotta warriors. Our tourguide Trisa took good care of us and gave good explanation on the history of the terracotta warriors.